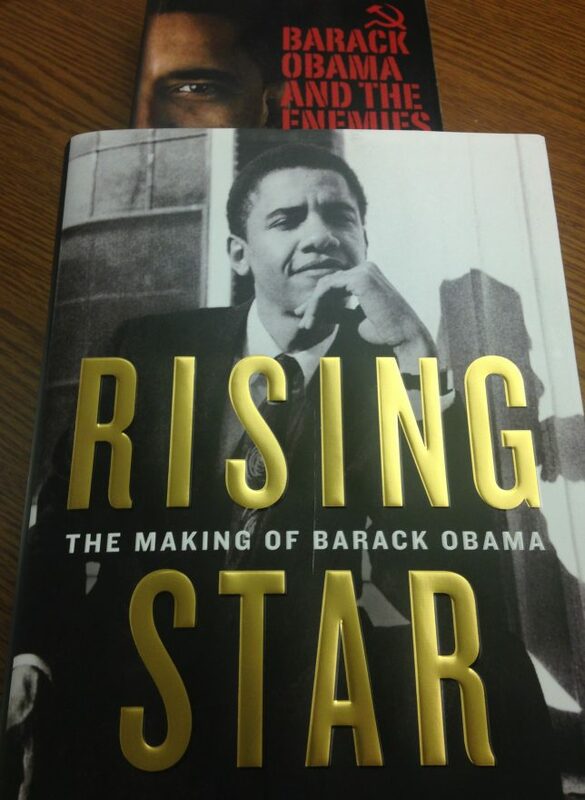 Even if you are not planning to read all 1,078 pages of text in David Garrow’s Obama biography, Rising Star: The Making of Barack Obama (the other 400 pages are mostly endnotes), I recommend you read the first chapter. Titled “The End of the World as They Knew It,” Obama appears nowhere in it. Instead, the chapter details the death of the steel industry in Chicago’s South Side between 1980 and 1985, the deterioration of the community around the shuttered steel mills, and the rise of a community-organizer culture in the ashes of what used to be stable mill towns and stable minority communities. Garrow chooses to begin his book with this vignette because South Chicago’s Rosewood community is where Obama began his career as a community organizer. It’s an interesting choice: Garrow is pointing at the politics and practices of grassroots organizing and saying: this is the authentic Obama — what he became later was inauthentic. Saying this appears to be the main point of the book. “Community organizer” is a title also preferred by Obama himself, who made sure his “organizer” credentials were front and center throughout all of his autobiographical work and political campaigns. Obama does not believe that he has betrayed his own identity as a left-wing political organizer, as Garrow thinks he did. So the book starts out with an unspoken question that leads to other questions: Who is right about Obama’s commitment to the goals of unabashedly leftist political organizing: Garrow or Obama? Also: What are the actual goals of community (or leftist) political organizing? Is the goal to get good jobs and secure communities for everyone? Is it the revolutionary overthrow of capitalism? Is it convincing factories to stay in towns or taking factories away from their owners and handing them over to the people who work in them? Garrow immediately digs deep into a conundrum that has occupied conservative critics of Obama for many years now: how radically leftist is Obama? The fact that Garrow is openly, in his own words, a “progressive Democrat,” should not prevent anyone from looking for the answer to this question in his book. In fact, I think he is off to a good start with his first chapter, maybe a better start than many of Obama’s critics who have focused on Obama’s family origins more than his career choices and behavior. We all know people who come from radically leftist families and turn out to be conservatives, and vice versa: what really matters is what Obama chose to do once he started seeking his vocation. This is not to say that I think Obama’s autobiographical efforts are unimportant. Obama decided to present a calculated, curated life story to the world. He did so with awareness that he was playing a high-stakes game of identity politics and that he had more or less within his reach the right identity to please the right people. You can’t pretend that identity politics aren’t a national preoccupation of the Obama years. Garrow does not avoid this subject, not even in a chapter that is primarily about steel mills and unemployment. But he starts the story with the mills and the job losses. And in doing so, he delves into an older politics of the Left, usefully, I think. When I worked in leftist politics, starting a little later than Obama but also in the 1980s and in virtually the same sort of muddled community organizing, what struck me at first was how elderly and nostalgia-drenched the movement seemed. People sat around singing old labor songs and civil rights anthems without irony, as if the Great Depression was still happening and the Sixties hadn’t happened yet. The main ideological work of the Left as I found it in 1988 was vigorous denial that anything at all had improved in people’s lives or society since the terrible days of Jim Crow and Depression-era economic collapse. Within this leftist playbook, poor people, minorities, immigrants, workers, and women — and later gays and other groups – are absolute victims of comically evil, all-powerful, outside forces. You can’t understand how leftism works if you don’t understand the degree to which embracing this political fantasy is a prerequisite for being admitted into the room, even if the fantasy is cynically known to be a fantasy, and even if the room is being funded by the Woods Fund of Chicago, and it’s a plush retreat with millions of dollars on the table to be distributed as political favors to this or that constituency. Or it’s a union hall where the members insist on making exorbitant salaries for as little work as possible, year after year, decade after decade, until the factory shuts down and moves away one day. The second thing to know about the Left is that as soon as they stop singing nostalgic songs about coal miners or freedom fighters and get down to business, leftist activists are stone, cold, masterful players of the hardest of hardball politics. Nostalgic outrage and an informed understanding of power make a lethal political combination. In the first chapter of Rising Star, David Garrow puts the reader firmly in this world of leftist activism. He starts the book with the story of Frank Lumpkin, a steel mill worker of thirty years who is also an unabashed Communist Party USA activist. 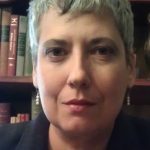 Having come from the middle of the apolitical middle class, I spent weird years of my early political life meeting Communists like Lumpkin at work, then being called paranoid or frankly disbelieved by family and college friends whenever I mentioned to them that I was working with … Communists. If they believed me at all, they thought it was funny. I knew it wasn’t because I actually met the Frank Lumpkins and hung around them enough to know what they were willing to do to get what they wanted. This sort of time wasting, described as a right, will be familiar to anyone who deals with union workers. Later in the chapter, Garrow cites a troubling statistic: because of drinking on the job, by 1976, “46 percent of the steel shipped from Republic [Mill] was ‘rejected because it was not up to standards.’” According to Frank Lumpkin, similar problems existed at the mill where he worked. This sort of revelation is noteworthy. Noteworthy too is the inclusion of a critique of a major FHA – HUD program designed to boost minority home ownership. The program actually resulted in “massive numbers of foreclosed and abandoned properties,” market upheaval, bad debts, and community decimation, as unqualified applicants were approved for special loans. Garrow is not writing about the market collapse of 2008: this disastrous federal effort to address “redlining” in minority communities was implemented in 1968. Finally, Garrow does not shy away from the self-inflicted problems of the Rosewood community, namely crime. I don’t want to be misleading here: the vast majority of the interviews Garrow conducts are with activists from various leftist groups, and most of what is described is their activism. This sort of material is very useful in building a picture of the world Obama would come to apprentice in. But at every turn, it is a world where the sole answer for any problem is to claim victimization and demand reparations of some sort from somebody. Most of the chapter merely documents this in a long series of complaints and political actions. None of this is to say that the community’s problems are imaginary or mostly self-inflicted. But by walking too closely in the footsteps of people who believe in the inevitability of their politics, Garrow ends up avoiding other avenues of inquiry. Was another anti-redlining scheme or another march outside the shuttered factory’s gates really going to produce positive results? His narrative follows the activists’ trail where it leads. But he stays, virtually entirely, inside the world of that activism. Also not examined is the movement behind the local movement. Professionally trained activists drift in and out of the story, but it isn’t clear from where. The activism that is described is only the most local, though everywhere there are indications of a larger, even international movement choosing the issues to address, training the professional organizers who arrive and go, and providing salaries and ideological discipline. The main myth of community organizing is that any of it is really “community-based.” The activists come from elsewhere; the money comes from elsewhere (even if they say it doesn’t), and the locals and their problems are used quite openly as interchangeable props. Garrow could have delved more deeply into this. Perhaps he will do so in future chapters. I am, to be clear, making a judgment call based on reading only 4 percent of the book, though already it seems like 4 percent more than the New York Times did. And Obama has not yet even arrived in Rosewood.